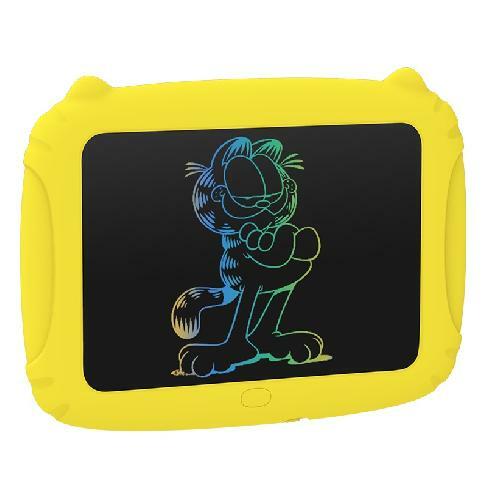 10-inch Cat shape multi-color LCD writing tablet or board / Vessel Forth. Lock Function: Lock the erase button to prevent accidental deletion. Don't worry about losing your big ideas anymore. Erase easily with one button: Easily erase the words or images with one click. More convenient for younger kids and school children who are not ready for electronics. We value our kids: No compromise on quality. Suitably manufactured for Kids with all human consideration. Easy-to-use: Portable 10-inch tablet has a large writing area. Good for learning alphabets and maths games. Style: Manufactured with good style and art which attract all kids and school children. Each writing tablet carries 1 x board & 1 x pen. LCD Writing Tablet /10 Inch Digital Ewriter / Electronic Graphics Tablet / Portable Mini Board / Handwriting Pad / Drawing Tablet with Memory Lock Suitable for Kids Home School Office.